Alumna Bev Crair made an empowering decision when she honored her best friend—her mother—with a pledge establishing an endowed fund for students at the Lionel Cantú Queer Center. Bev Crair’s mother was her best friend. 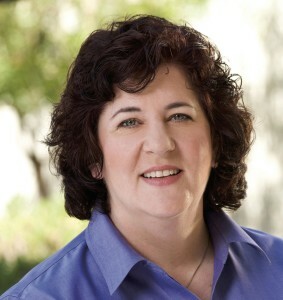 Now, Crair (Stevenson ’83, computer science and mathematics) is sustaining her mother’s name, and helping gay, lesbian, bisexual, and transgender youth, with a $50,000 pledge establishing the Ruth Bloch Crair Memorial Scholarship, an endowed fund for students at the UC Santa Cruz Lionel Cantú Queer Center. Crair, vice president of Intel Corporation’s storage group, decided, along with her wife, Lisa, to name the chair after Ruth Bloch Crair, in part because she has such vivid memories of coming out to her mother. That difficult but ultimately empowering conversation was on her mind when she decided to give to an on-campus organization that provides an open, safe, inclusive, intercultural space, promoting education about all genders and sexualities. “This way, it lets her memory be a blessing for a lot more people than just her family,” Crair said. A gift of $400,000 from retired UC Santa Cruz astronomy researcher Arnold Klemola establishes the James Keeler Fund for Excellence in Astronomy and Astrophysics to support graduate student research. A $2 million gift establishes the Doris Duke Conservation Scholars Program. Funded by the Doris Duke Charitable Foundation, the program is designed to increase diversity in environmental conservation (see page 4). 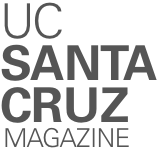 Using the crowdfund.ucsc.edu platform, friends of the Smith Renaissance Society raised $39,400 from 168 donors in 30 days, funding scholarships for students who lack traditional family support systems. These and all gifts count toward the Campaign for UC Santa Cruz. This fundraising effort supports excellence across the university through increased private investment in the people and ideas shaping the future. It is bringing critical new resources to each academic division, the library, and to signature initiatives in the student experience, genomics, coastal sustainability, data science, and at the intersection of the arts and sciences.